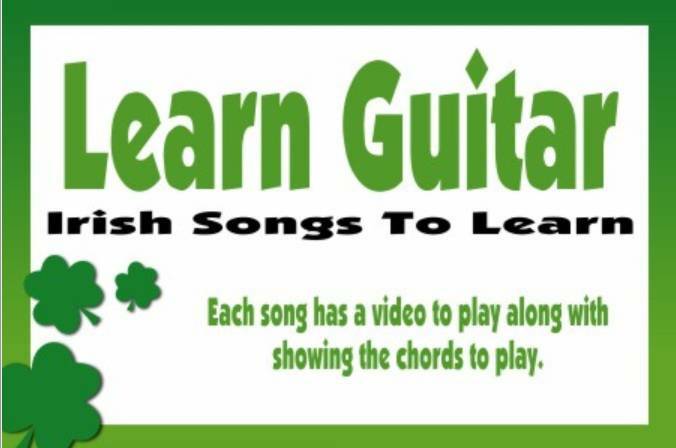 Learn To Play Irish Songs On The Guitar. Get the basics off before moving on to the other song, most of the songs on this site use only three chords anyway so they are not that hard to learn. Using a major key of C is actually quite easy to play if one uses F with a small barré (XX3211) because you then just have to move the fingers up one fret to change to C major and one fret higher to G (with a finger change on the high frets) meaning that it's very easy to play the three main chords of that key. Another advantage is that you can play all the other chords of C major without any need for a large barrée, which are usually really hard for beginners. By being familiar with C major and knowing how to change the key one also avoids the frustration to discover that all your favourite songs contain barrée chords and thus appear to be unplayable. For example Bm which isn't mentioned on the site among the common chords also is an important, often used chord. Bm leads me to my second advice for novice players. My experience is that if there's a Bm in a song one can usually replace it D or G major without loosing too much of the melody. A '7' 'sus2' or 'sus4' chord can always be replaced by the corresponding major chord to reduce the number of chords needed to have a start. Our first song is by Padraig Grimes doing a finger picking version of The Cliffs Of Dooneen. Christy Moore has this one in his set list for many years. The song discribes what can be seen from the cliffs which are located in Co. Kerry that look out at the coast of Clare.. The next song was one of the first ones I placed here on the site many years ago, It's a classic at this stage and translated into many languages around the world, like all the videos I do myself here I try to keep the timing and feel of the tune as original as possible. There Were Roses by Tommy Sands. The next video lesson is an old Scottish song brought to Ireland by Luke Kelly, Luke learned most of the old stuff from Ewan McColl who was his mentor while in England. This one is a love song called Peggy Gordon which is in the key of D. This one is within everybody's voice range so you should have no bother singing it. There are standard songs that are preformed at nearly all folk session, what's meant by a standard is that there are about 50 or so songs that you'll hear being played time after time, today's song is one of them. It's a simple little three chord job that's being around for a hundred years and it's called Sam Hall Paddy Reilly is probibly the best known for this one, it was also sung by Johnny Cash but in a different sort of timing. Pete St. John is Ireland's most well known song writer, he has penned some of the countrys most loved folk songs over the past 40 years. His biggest hit to date went to No.1 in the charts when it was recorded by Paddy Reilly all them years ago, as Paddy said of Pete ''he writes for folk singers, he keeps things simple'' , and that's what I have done here with The Fields Of Athenry , I recently changed the key from G to D because that's the key I play it in. There's lots of info. regarding the reason for writing this classic on the page. Advanced guitarists - I'm sure there are many who visit this site and are looking for even more ways to improve their playing techniques. 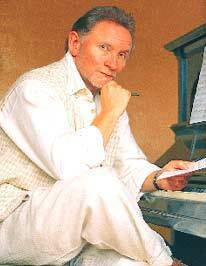 I was about to record another of Phil Coulter's but forgot that Siggi from Germany who has a youtube channell already sent me The Town I Loved So Well where he plays the melody and chords together. As I say, this one is for the more advanced players out there but with lots of practise anyone can get to this level of playing. It's a long video but siggi goes through it step by step. When you first start to learn the guitar you usually want some handy little three chord songs. The one today has only the 2 chords and was one of the very first ones I learned may years ago. It's an old tradition English ballad about a boy who eat some poison berries from a tree and becomes ill. Henry My Son. Another 2 chord job is a song I wouldn't normally play at a session but would only play for my onw enjoyment at home. This one is about going to prison for 21 years and wasting away. Prison songs for which there are plenty of would usually give a bit of background information to the listener as to why the person ended up in jail but this one doesn't. It concentrates on the compleat loneliness of being locked away from his sweetheart. How To Play Sean South On Guitar who came from Limerick City and not Garryowen as the song says. This ballad is one of the more famous of all the rebel songs in Ireland. 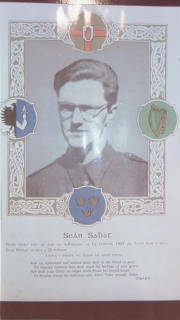 The writer, Sean Costello used the same tune as Roddy McCorley who also gave his life for his country and was exeuted in 1800 in the County Antrim town of Toomebridge. I believe Sean South was first recorded by The Irish Ramblers in 1963 on the album The Patiot Game which was recorded in New York and was before The Wolfe Tones album Let The People Sing 1972. But had the 'tones got this one out on a single ? any info. would be greatful. Eric Bogle who comes from Scotland is renounded for writing anti war songs also wrote some classic love songs. Leaving Nancy was one such song, it's not your standard love song about boy meets girl and falls in love, no this one concerns his mother. It's about the feelings going through his mind as he leaves Scotland for a new life in Australia. The who story is written about the time he spent on the railway station platform and the sad farewell to his mother as he boards the train. 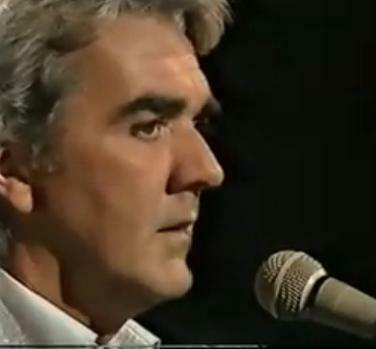 Johnny McEvoy is renowned for singing old sad songs, most of which he wrote himself. The one I decided to cover today is Long Long Before Your Time which is around since the 1980's . The song tells of his a woman losing her child during birth. She chose to give up her own life to save the life of the baby which was common enough years ago. 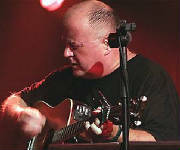 One of Christy Moore's most popular songs is Nancy Spain which he got from Barney Rush many years ago, Christy sing it at nearly every gig he plays. It's another slow ballad which suits me down to the ground, I love the slow sad songs, I'd play this kind of song 'till the cows came home. Again it's another which I use the capo and play it in the key of A Major. I changed camara for this one, I'm using an iphone 4s to see if the sound quality is any better. It turns out not too bad. It's The Ballad Of James Larkin in the key of D using a capo on the first fret to give it a bit of umph. I usually play this one without any capo. There's lots of information on the life and times of James Larkin who formed the Irish Transport And General Workers Union and was in charge of the union during the ''Lock Out'' of 1913. Back in the 1970s Phil And June Colclough used to holiday in Ireland. It was while visiting Dingle that they got their insperation to write what has become one of the finest Irish folk songs of all time. Song For Ireland is set on the west and south coastline of Ireland. 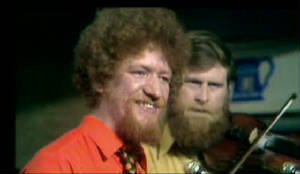 The Dubliners were the first to get their hands on the song followed by Mary Black who does her own unique version which is very different than the way Luke Kelly sang it. I recorded this song back in 2002 and had forgotten all about it. It was done on a home recording set up where I used a keyboard and guitar. It's what I'd call an OK version and is one of the few songs where I pick the guitar instead of strumming. The chord images above are a guide for using the capo on the second fret. There are hundreds of songs on this site that require a capo to play along with. There are several reasons why you would use a capo. The first one is because you dread playing a standard B Major chord, well as the chart above suggests, you only have to put the capo between the first and secont fret and make an ''A Shape'' and the sound produced is B Major. The main reasing for me using it is because I feel it produces a much crisper sound. Learning to play Irish folk songs and ballads on guitar is not much different than playing pop or rock music, it's just a matter of changing the strumming pattern. There are some fine guitar players around that never knew how to read tabs or sheet music but have the natural gift of being able to play by ear. Then there are the majority of players who constantly struggle to learn even the most basic of songs.